Project: End to End Automotive Product Development project. 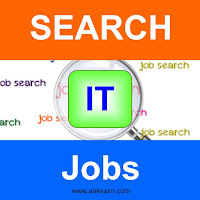 Interview Location: Bangalore; should be available for personal interview in Bangalore on short-notice. Only SHORT-LISTED CANDIDATES will be called for personal interview. Send your profiles to apply@askexim.in with subject line “AUTO-EMBEDDED" Or call us at 9243018628 for further details.